A photograph or diary entry is not a way to preserve memory; it is an attempt to document it in a way that cannot align with the original experience. One knows that something happened only because they wrote it down. They are told by an earlier self, through image or text, that certain things touched me which they can no longer access. Then, they deal with this loss. Catalina Ouyang's work parses private and collective archives by reworking documents through distortion, translucency, animation and juxtaposition. Richard Dienst defines a photographic document as “both a historical thing, some mark made to order vision as soon as it was made, and a historical event, a spark of vision that organizes a world of relationships around it.” Her work thus draws associations between ostensibly unrelated phenomena, using her lived experiences to explore the banalities and poetics of longing and intimacy. Photography, video and sound—ranging from the public and innocuous to the private and profane—are integrated with writing and sculptural elements, as well as literature both found and personal. Collected artifacts from an upbringing split between continents become scrambled in a field of latent experiences, compressed in order to explore proxies of emotional understanding and resonance. Catalina Ouyang is a visual artist and child of the Chinese diaspora by way(s) of St. Louis, New Jersey and an obscure cul-de-sac outside of Chicago. Her visual work has been exhibited internationally and her writing has received two Puschart Prize nominations. 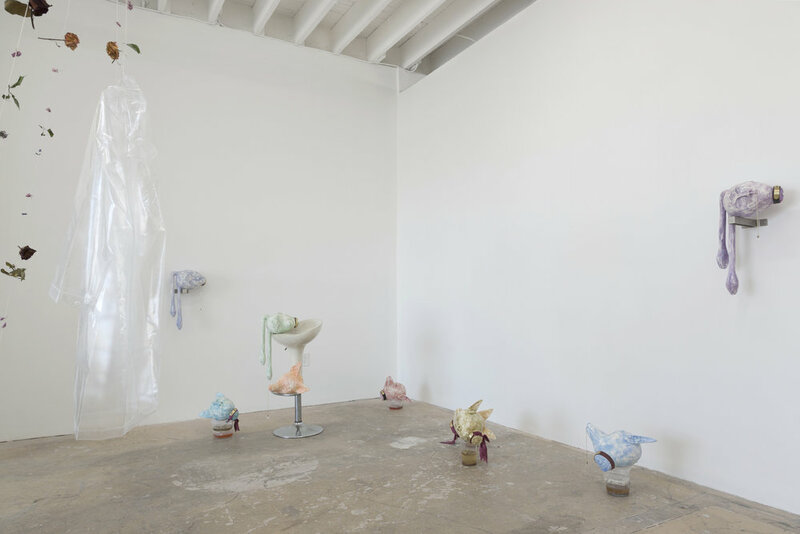 Her work samples ancient mythologies, fairy tales, literary motifs and neoliberal detritus to consider various forms of contract-making, punishment, retribution and self-definition. The female-bodied villain--so often a coded label for strong, abused or Othered women--is reimagined as protagonist who dares to play, scroll, shop or kill. She is a 2019 MFA candidate in Sculpture at Yale University.